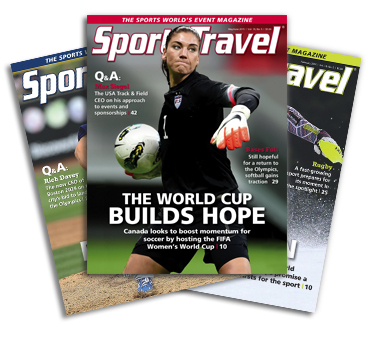 Since 1997, SportsTravel magazine has served the sports-related travel and event industry. It is the only publication written and designed to serve the people who organize and manage sporting events of all types at all levels. Sports-related travel generates more than 97 million room nights annually, and SportsTravel—read by more than 40,000 industry decision makers—is the trusted and proven information source for this resilient group travel market.